Unfortunately, we know too many of you are familiar with migraine pain—the throbbing in your head, the sensitivity to light, and nausea that can come with in some cases. When you are struck by a migraine, you would do just about anything to get rid of that pain. As effective as painkillers can be while you have a migraine, it doesn’t often affect the source. If you would like to tackle the potential cause of your suffering, it might be time to think about getting a massage! Hormone changes in women – If the estrogen levels in a woman’s body are fluctuating, such as before her period, this can lead to migraine pain. The same can happen during pregnancy or menopause. 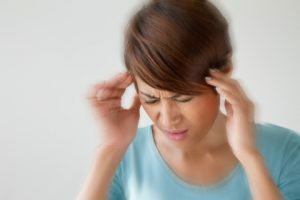 Food and alcohol – Old cheese, salty foods, and processed foods can trigger migraines, as can fasting or skipping meals. Alcohol, especially wine, has been linked with migraines as well. Additives – Artificial sugar (aspartame) and some preservatives found in foods can lead to migraines. Stress – Altered stress levels, whether at home or work, can lead to migraine pain. Sleep changes – If your sleep patterns have changed (either getting too much sleep or too little), your body may react negatively with a migraine. Environmental changes – You may feel an oncoming storm or weather change which can prompt a migraine. How Could a Massage Help My Migraine? Massages are an excellent way to manage stress and relieve muscles tension, which are both factors that can lead to chronic migraines. Several studies have found that massage therapy can lower the frequency of headaches, sleep disturbances, and distress symptoms and can even increase serotonin levels. This is useful since low serotonin levels are a common characteristic of those suffering from migraines. 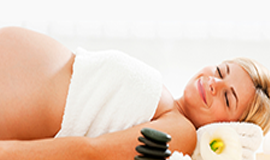 Massages work by easing muscle tension and muscle spasms. They can release shortened muscles and relax the tension you hold in your head, shoulders, neck, and back. Once this tension is eased, your body experiences much less pressure on your nerves and blood vessels. 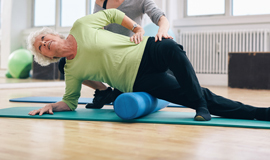 This means that your circulation improves, which can help relieve the pain you are feeling. Regular massage therapy can help prevent headaches and migraines before they even happen! In order to help you get the most out of your massage, we typically focus on your muscles in the neck, shoulder, and upper back are to provide headache relief. The vertebrae in the neck behind the skull create your cervical spine, and attention to this area is often effective in relieving headache and migraine pain. We believe that a Thai massage has the ability to help you with your migraine pain, which is why we encourage you to come to Naples Massage & Neuromuscular today. Call now to schedule your appointment and learn more about our services. Together, we can help you on your path to wellness, so don’t hesitate to reach out with any questions you may have!